Leading brand manufacturing laptop cases and accessories Targus has recently launched their traveling backpacks series called Terminal T II series in India. This series is design with different level of usage and users need. When it comes to the long haul traveling we generally don't want to take large backpack or trailers with us. We tend to take maximum stuff in small backpack or trailer bags. But if we talk about different users have their own preferences according to their needs. Tech savvy person need more space for their gadgets like power bank, Laptop, Smartphone and so on. On the other hand when we talk about ladies they need more space for their Jewelery and cloths. Due to technological advancement and wireless transmission there is risk of information theft from digital media like credit and debit cards without physical contact. With an Anti-Radio Frequency Identification (RFID) compartment, this meticulous design safeguards highly sensitive personal and banking information from being stolen. The advanced technology prevents the transfer of information which takes place without physical contact by blocking transmissions between 10MHz to 3GHz. Traveling with document and keep them smartly organized and sleep is much of challenge during the long traveling. Targus Backpacks are design in such a way that you can maintain your documents without worries and massing up with other stuff. Beside we also carry lot many gadgets this days like power bank smartphones laptops and so on. The dedicated design is allocated for power bank storage which allows convenient access during mobile charging. The compartment caters to both right- and left-handers, and it ensures gadgets are easily within reach when transiting. Slot the backpack on the luggage and set on a journey without a burden on the shoulders. Other than its Anti RFID Theft and built-in mobile charging abilities, all three styles offer heavy padding support for comfort. While we are traveling with delicate fashion equipments like Sunglasses or some delicate things or DSLR which need to be handle with care need some sturdy extra protection from external jerks and pressure. The Terminal T-II series features a wear- and water-resistant bottom. Finished with a durable 1680D Twisted Polyester quality, the backpack is a good investment for places with wet weather conditions.Both the Terminal T-II Premium and Terminal T-II Advanced include expandable side pockets for extra storage without the added bulk. The point is Targus new Terminal T II series is being design for different need of users according to their preferences. Embedded with new and advanced features, the Terminal T-II series is multi-functional, providing protection for essential gadgets. The highly-compact backpack tailors to the needs of leisure and business travelers, allowing them to travel with ease and convenience. 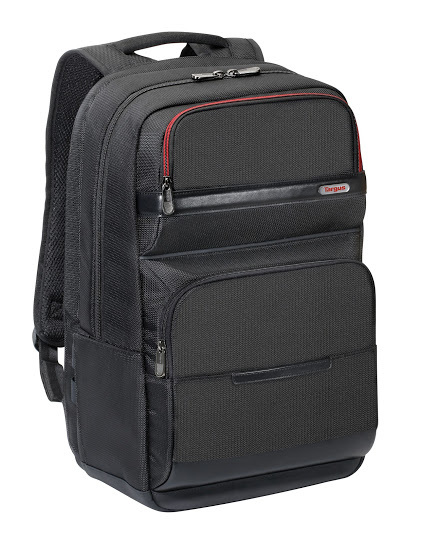 Here is all about newly launched Targus Terminal T II series of backpacks. For any question or queries do comment below. Thank you for reading. Why We Are Loosing Pure Test Of Android ?